Even Carnivores Are Putting More Fake Meat On Their Plates : The Salt Vegetarians aren't the only ones buying products like tempeh, tofu and seitan, a survey finds. Sales of meat alternatives climbed 8 percent between 2010 and 2012, thanks in part to meat eaters looking for a break from meat. 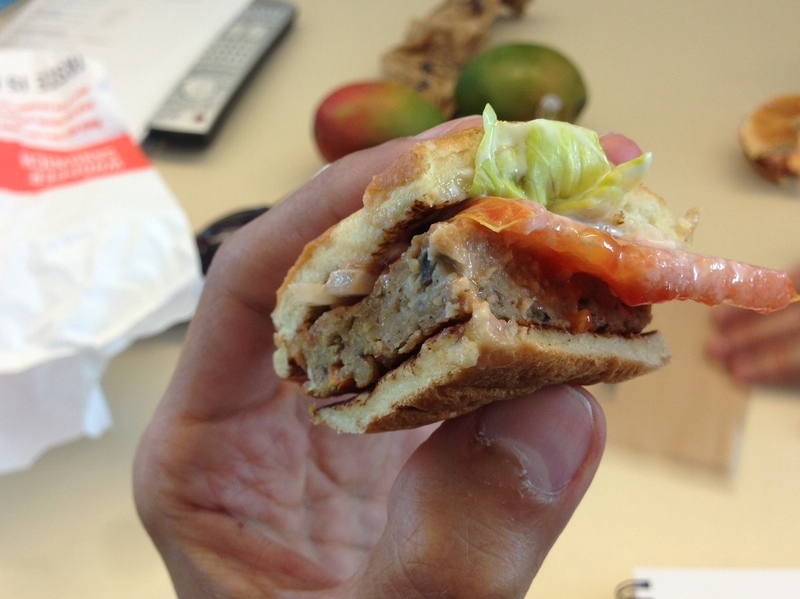 Burger King's veggie burger is among the many meat substitute options on the market. From Bill Gates to Google's Sergei Brin, influential investors are putting their money where their mouth is. The pet cause of the tech world, it seems, is the need to find good-tasting substitutes to conventional animal products, like chicken-less eggs or in vitro beef, to avert environmental crisis from rising consumption. According to new research, consumers — and not just vegetarians — are also warming up to products like tempeh, tofu and seitan that can stand in for meat. In a survey released this week by the market research firm Mintel, 36 percent of U.S. consumers said they buy meat substitutes — even though only 7 percent identified themselves as vegetarian. According to Mintel, sales of meat alternatives reached $553 million in 2012, up 8 percent from 2010. "The bottom line is that vegetarians and vegans aren't the only people eating 'fake' meat — meat eaters are also exploring this newfound protein superpower," said Beth Bloom, food and drink analyst at Mintel, in a statement. Most popular in the meat substitute aisle are burgers, either made from veggies, wheat or soy, followed by fake poultry products, like Tofurkey, according to the survey. Women were slightly more likely than men to buy the foods. Still, the majority of Americans don't buy meat alternatives. Among people who said they're not buying these products, 67 percent said it was because they prefer real meat. Another 34 percent said they don't like the taste of meat alternatives, while 20 percent don't like the texture. Texture and flavor are likely to be the biggest hurdles for meat substitute entrepreneurs, like Ethan Brown of Beyond Meat (whom we profiled last year), who say they're hoping to break out of the health-food niche and sell to mainstream meat-eaters.